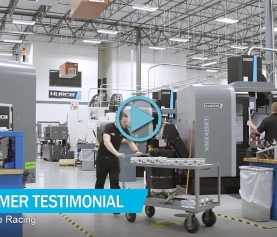 Mr Briggs said that there is a particular functionality within Hurco’s WinMax conversational programming software that lends itself well to 5-sided machining applications, during which the part is tilted upwards at an angle. 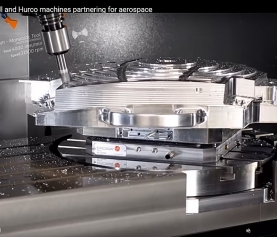 It is called ‘transform plane’ and is used in a rotary program to re-establish part zero to any plane for non-rotary 3-axis milling or drilling. This facilitates machining of repeating features on several sides of a component, as the tool automatically moves so that it is always perpendicular to the transformed plane. Looking for the answer to the Mid-Ohio 200 trivia question?